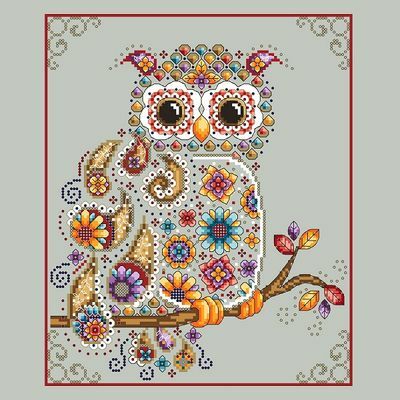 Multi-colored, whilmsical paisley owl with flowers. Count: 112 x 135. Model stitched on 14 count fabric. Uses DMC thread, Kreinik Very Fine Braid and beads.